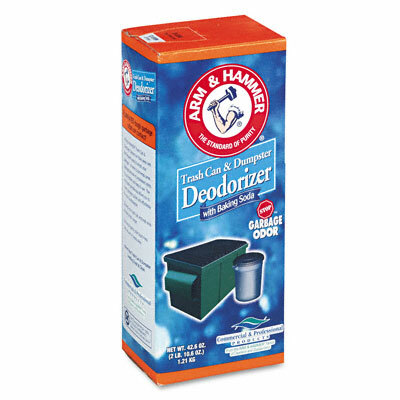 Combines baking soda with an odor-fighting fragrance to quickly destroy tough odors on contact. Sprinkle directly on garbage each time more is added. Ideal for use in trash cans, Dumpsters, drains/grease traps and diaper pails. Environmentally friendly.